Training of all our Customers has been a rewarding policy. Physicians appreciate it that not only they but also their staff of nurses and technicians are fully trained on our products. In one Hospital we have 2 training sessions each year for Physicians who have never worked with our products before. This course is accredited by the NVvR with CME points. Dutch society for Radiologists. The nurses and technicians play an important role in the success of clinical procedures. 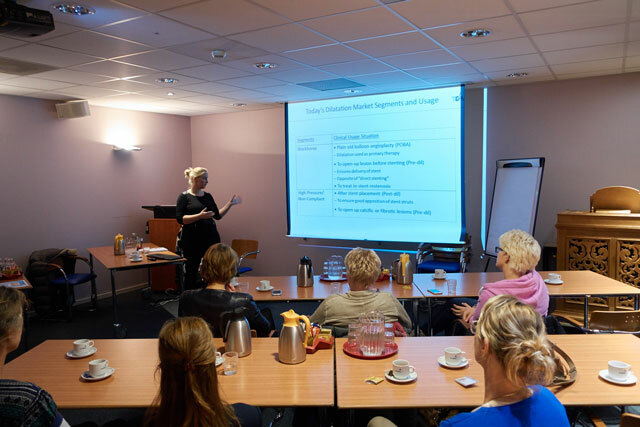 We organize so called clinical classes to train the Physicians’ Staff on our products, their features and benefits.